Donate for free when Shopping online! 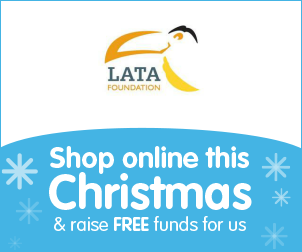 Christmas is fast approaching, and if your thoughts are starting to turn to your Christmas shopping; whether it’s presents, food or a new outfit for the Christmas party; we wanted to let you know about a great opportunity to raise FREE donations for The Lata Foundation – just by shopping online. Simply do your Christmas shopping online via Give as you Live, at a choice of over 4,000 top retailers, including Amazon, John Lewis, ASOS, Marks & Spencer, Debenhams and notonthehighstreet, and Give as you Live will turn a percentage of your spend into a donation for us.